Also called a higher swing low trend reversal, an Inverted Head and Shoulders pattern is formed when price action within a downtrend traces a higher swing/pivot low than the previous one. The Inverted Head and Shoulders pattern can be formed because the sentiment that was formerly producing the downtrend is now possibly shifting and selling pressure is decreasing. 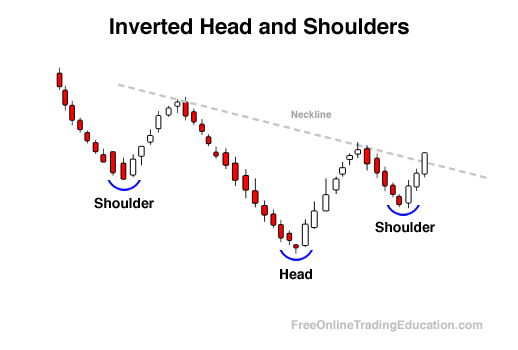 Inverted Head and Shoulders patterns can be stronger when the price breaks above the "neckline", which is a trendline connecting the swing/pivot highs that created the inverse shoulders. 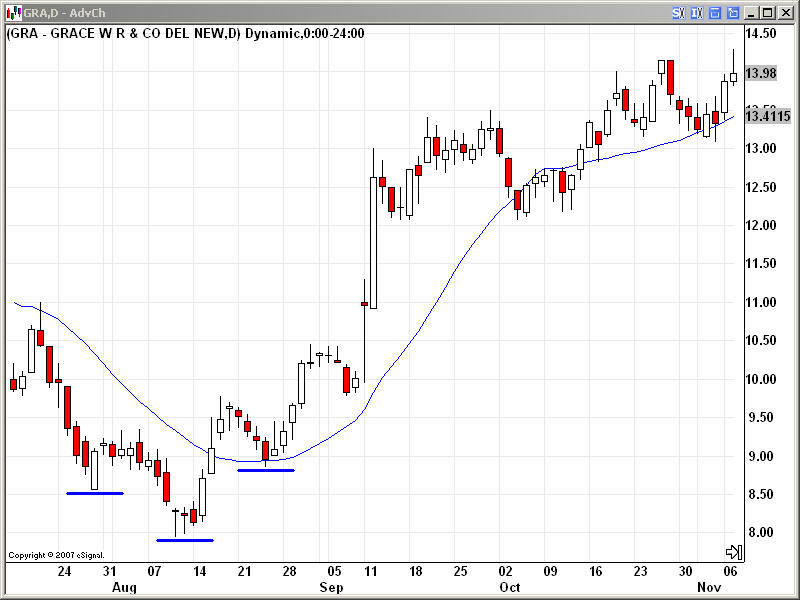 Traders will often seek out opportunities to buy when confirmation in the form of a "neck-line break" occurs. 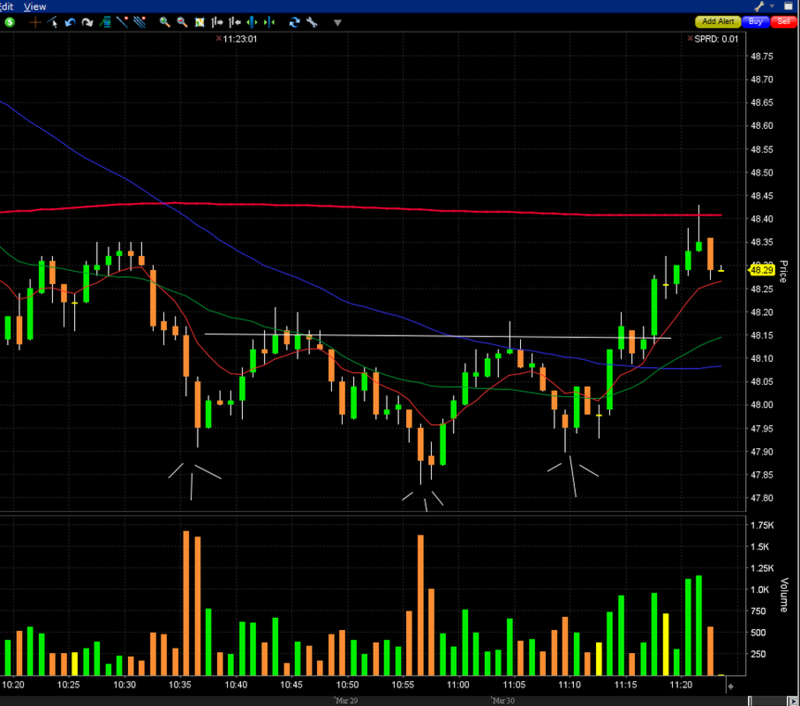 A neck-line break for an Inverted Head and Shoulders pattern is the failure of a resistance area drawn from the two previous swing highs on the chart.